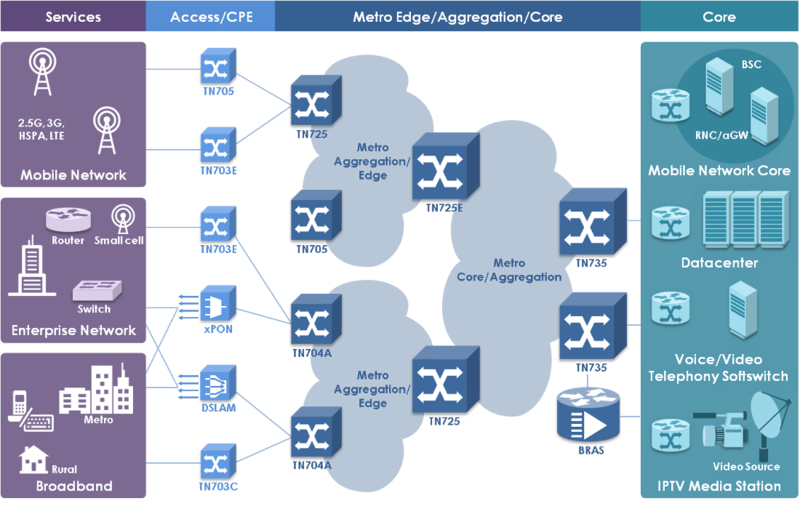 TN735 is a MPLS-TP based core and aggregation device with full duplex redundant 400G switching fabric. 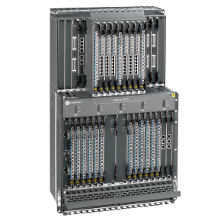 TN735 has a modular architecture and supports redundancy for all critical modules, offering a true carrier class core solution. TN735 provides a wide range of client interfaces and high capacity network interfaces for optimized capital expenditures and highest flexibility. Available in 18U form factor, TN735 offers E1/T1, STM1 (ATM, CES, POS), FE, GE, 10GE interfaces.